Nollywood actress, Tonto Dikeh who is currently in a deep marriage chaos just shared a cryptic quote about physical and verbal abusers. Apparently, she’s throwing a subtle shade at her estranged husband calling him a psychopath. The quote reads, "Most of us were taught to identify physical and verbal abuse, but with psychopaths, the abuse is not so obvious.You likely won’t even understand that you were in an abusive relationship until long after it’s over. Through personalised and idealisation and subtle devaluation, a psychopath can effectively erode the identity of any chosen target.From an outsider’s perspective, you will appear to have lost it, while the psychopath calmly walks away, completely unscathed. Psychopath free." 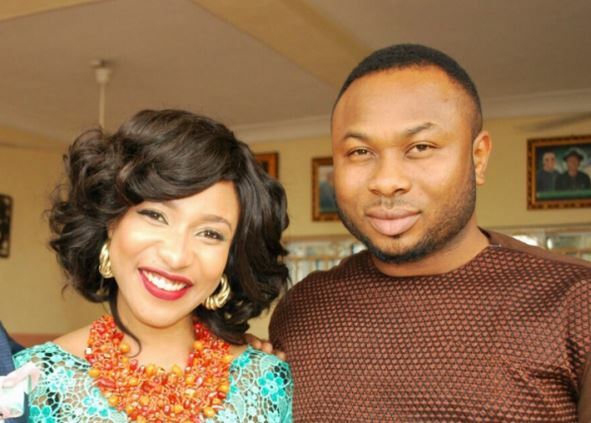 The businessman’s brother, Tokunbo, in a recent interview, says he once witnessed Tonto Dikeh in “one of her moods”. According to him, she slapped her husband and began to destroy things in their home. The actress had alleged in a separate interview that her husband subjected her to physical abuse providing evidence of this on her Instagram account.Churchill however refuted her claim insisting that he has never laid hands on a woman, adding that Dikeh was out to destroy his image.